Help maintain hair’s natural pH from the comfort of your own home, with the pH Bonder Post Service Perfector Duo from Redken. 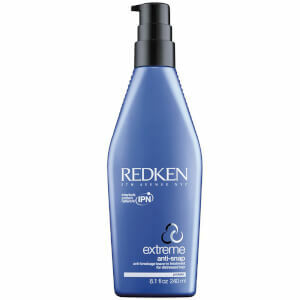 Achieving additional shine and smoothness, the formula is designed to be used once a week, in line with a Redken haircare regimen. Suitable for all hair types, the pH Bonder is a unique synergistic system that works to protect bonds and reduce breakage after salon treatments such as bleach or other colouring treatments. The formula is able to visibly increase the strength of the hair and improve its elasticity, whilst leaving locks touchably soft, smooth and ultra shiny.